I halfheartedly went to the track today. I was pretty sure it was going to end up as a day off, but the seven lanes of cushiony goodness seemed like my best bet for survival. Which, as it turns out, is why I was never any good at poker. I toodled around for a mile before an impending thunderstorm and sneering tennis fans sent me running for cover. Tennis fans are not good people. My track is fine for solitude. There’s rarely anyone on it. It’s a place to zone out and mindlessly run laps alone. It’s like the Talking Heads version of heaven — a place where nothing ever happens. My other run course, along the bay, is a four-mile sidewalk carnival. Straight, flat, hard as, well, a sidewalk, uneventful. Except, of course, for the constant events. Mo picked me up at work tonight and we went to Subway, because that is where Michael Phelps eats and I would like webbed feet. Our two choices for dining inside were next to an annoying woman and her annoying child-in-training, or by a window with a close-up view of a pool featuring people with two cases of beer who nobody should be forced to watch unless waterboarding proves ineffective. So we walked across to the waterfront, which is on the run course. Gorgeous full moon, boats swaying, neon coming to life as the sun faded. Perfect. 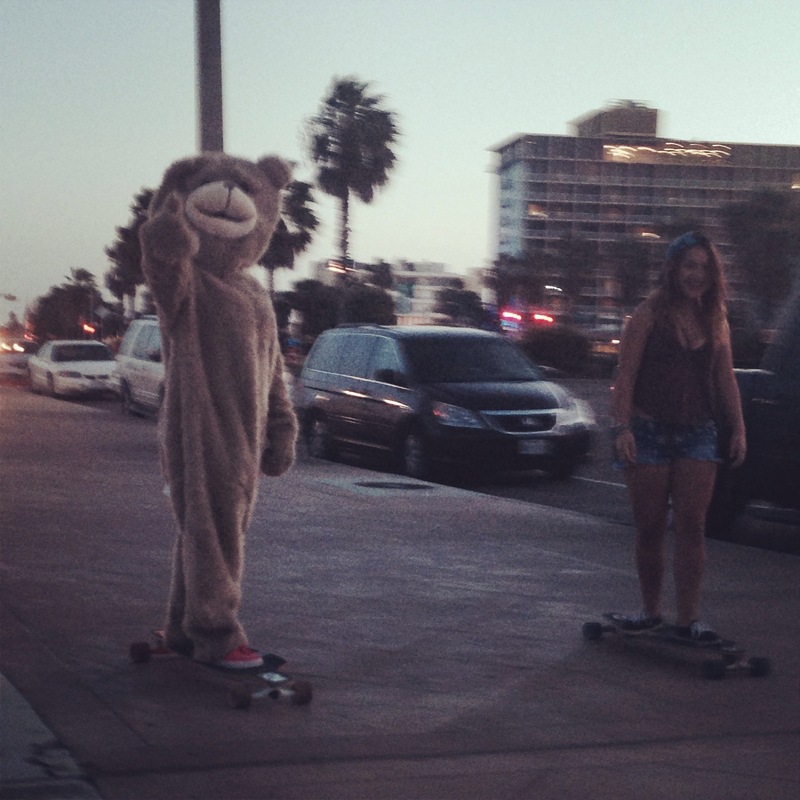 For all of its upsides, the track will never offer a view of a bear on a skateboard. Which is a pretty fine sight to see when you’re tired and running and in need of a good hallucination. Plus, they don’t play tennis on this course. Those tennis fans are nothing but trouble. This entry was posted in running and tagged Corpus Christi, life, oompa loompas, running. Bookmark the permalink.